Carpool karaoke shoot for a corporate client. 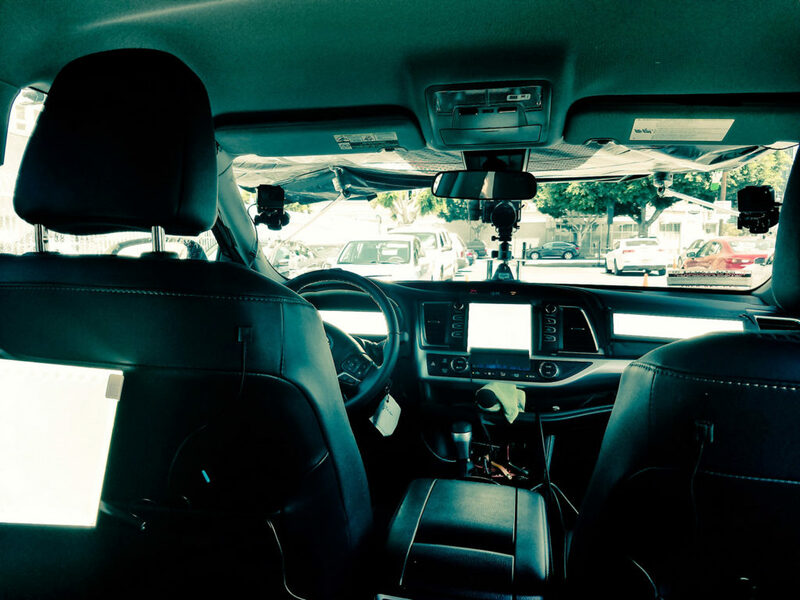 Greg McDonald of video production company Gate5 in Los Angeles provided the crew and equipment which included a 4k camera mounted on the hood, two GoPros inside the car along with four mics and LED’s to light up the interior. Audio was monitored wirelessly from outside the car. After hearing Greg’s karaoke ability when testing the audio, he was quickly escorted out of the car and told to stay behind the camera.